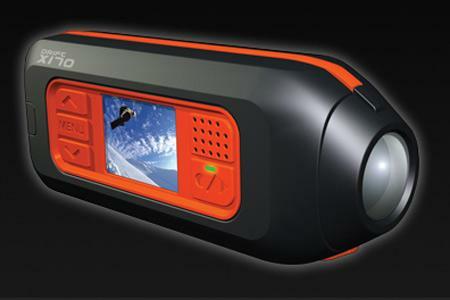 DRIFT INNOVATION has launched its first product onto the UK market – the X170 action camera. The all-round helmet camera offers everything that both the discerning expert and novice require to capture their extreme sports videos and photographs for just £199.99. The X170 offers high quality video (720 x 480 pixel), 5 mega pixel photos, a 1.5" colour LCD screen for playback, a 5m wireless RF remote control and a 170 º wide angle lens. Using the wide range of mounts included, the X170 can be mounted onto the head, goggles, helmet or handlebars and can be rotated through 300º into the perfect position to ensure an upright picture. Recording footage or stills can be controlled via both the wireless remote control or directly from the camera. Once captured, it can be played back on the built-in colour LCD screen. The X170 kit also includes both AV and USB cables so that the user can choose to watch their material on a computer or conventional television. For more information about the X170 or to find a local retailer visit www.driftinnovation.com.